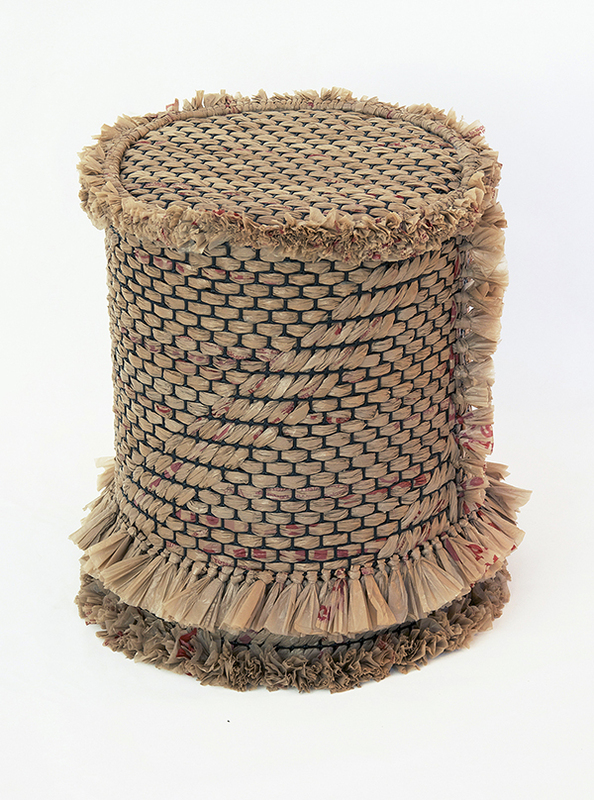 STOOBLE: 15" height x 11.5" circumference. 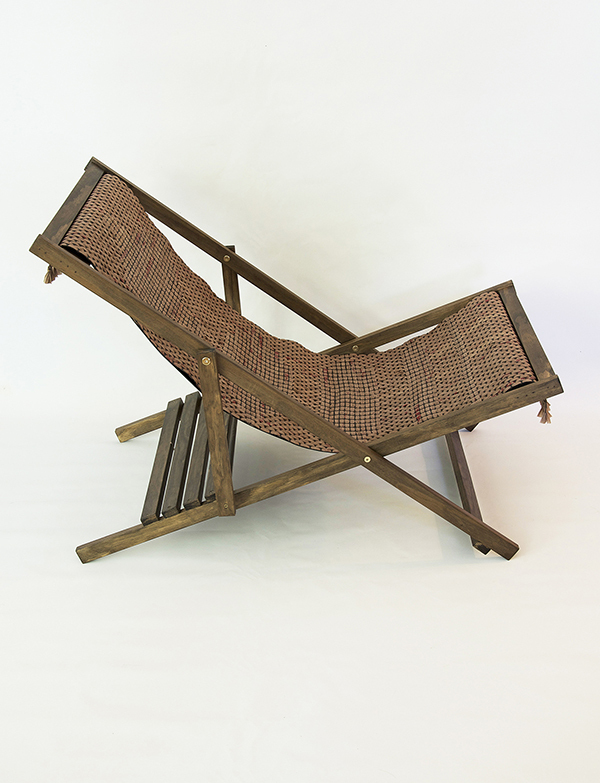 The Wisdom chair was built using a basic template for a sling back folding beach chair (ana-white.com). 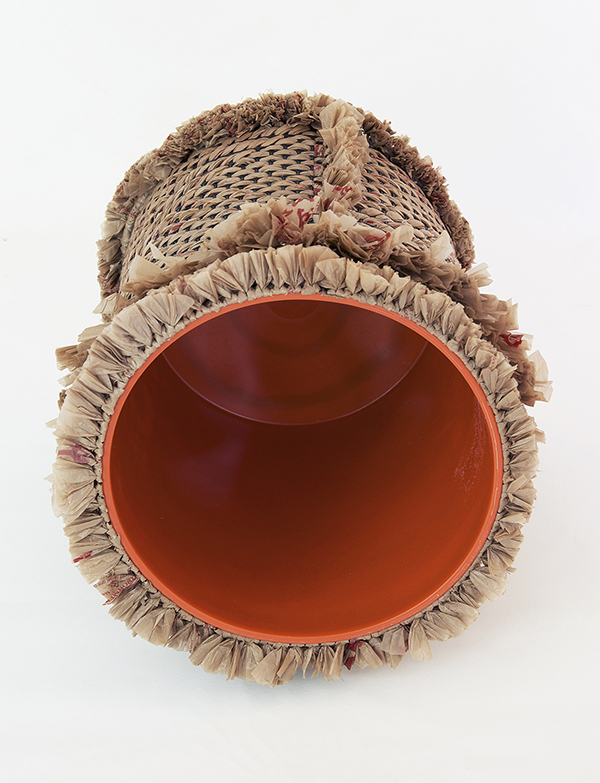 This form was selected because it is a symbol of the beaches on which we find so much plastic debris. Using it as the basis for the textile for the sling itself is what makes it unique. 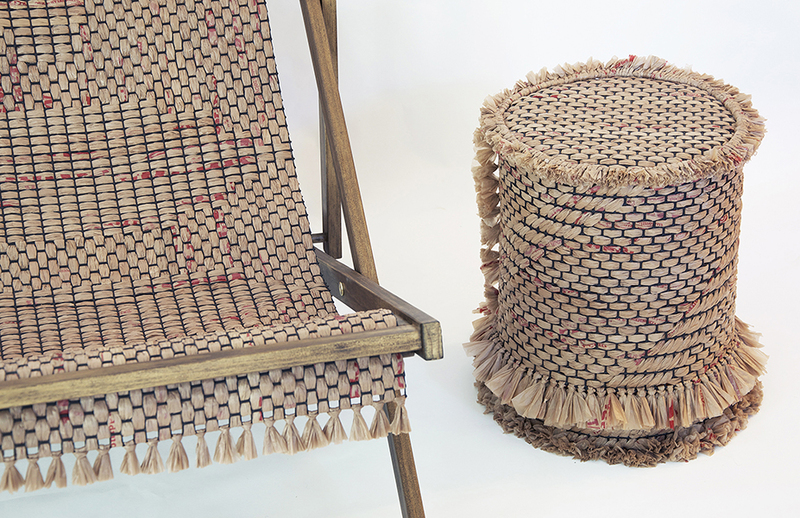 It is inspired by the traditional craft of weaving, yet with materials that are considered consumer debris – often used once and then discarded. 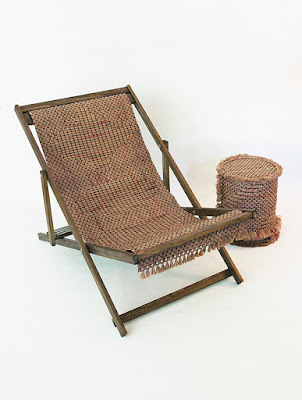 Through deconstructing a brown plastic grocery bag and weaving it through plastic mesh, the resulting textile takes on the quality of a naturally woven fiber. 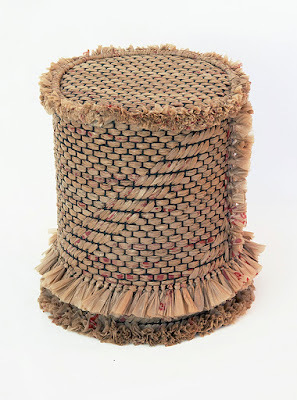 Through manipulation of the form and context, its tactile qualities are revealed, while symbolically challenging one to question it's original intent. 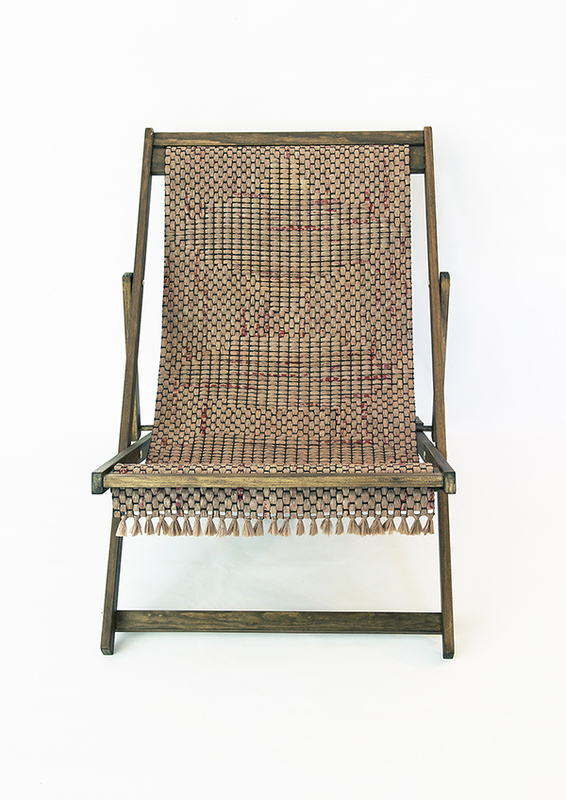 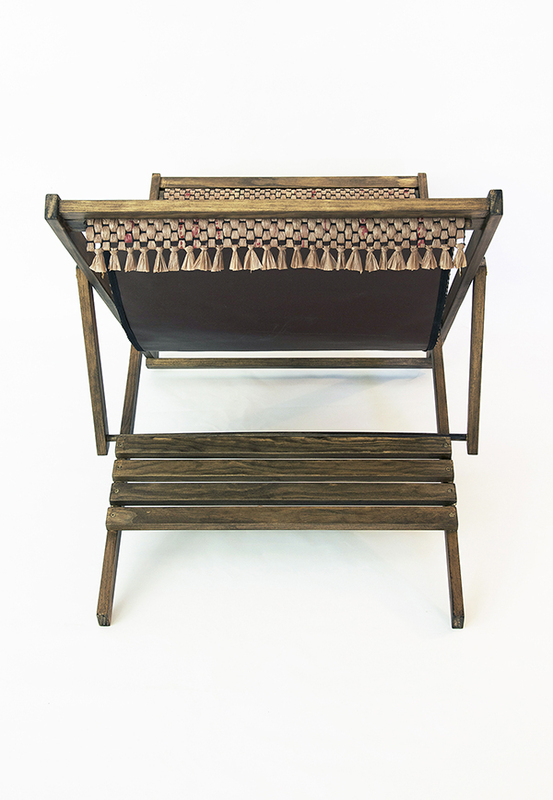 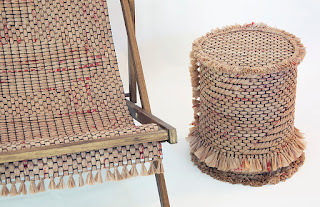 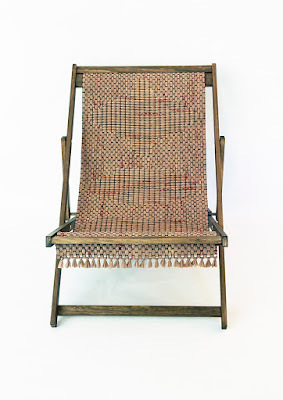 The accompanying Stooble (stool/table) utilizes the same weaving technique as the chair, with a reclaimed home depot bucket as the foundation for the design.